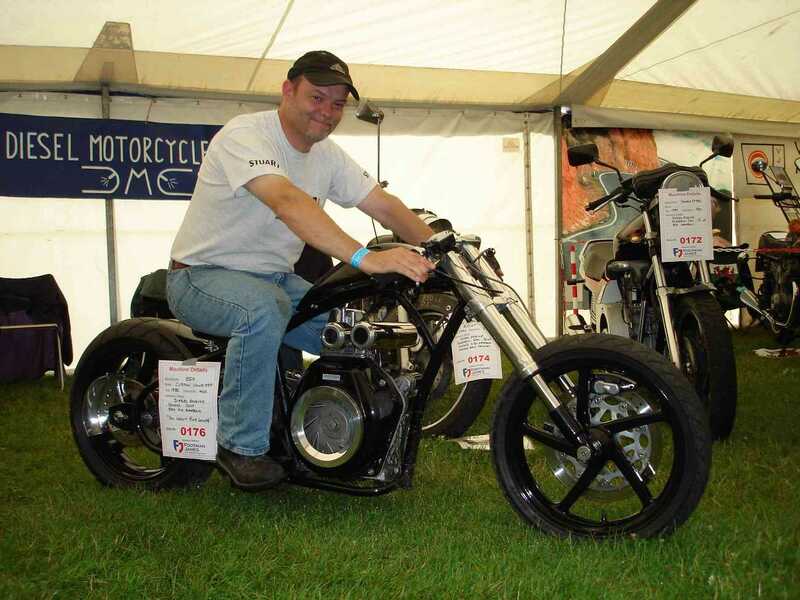 In the summer of 2009 a bunch of us took our diesel motorcycle's up the the Uttoxeter Motorcycle Show and displayed them for all to see. 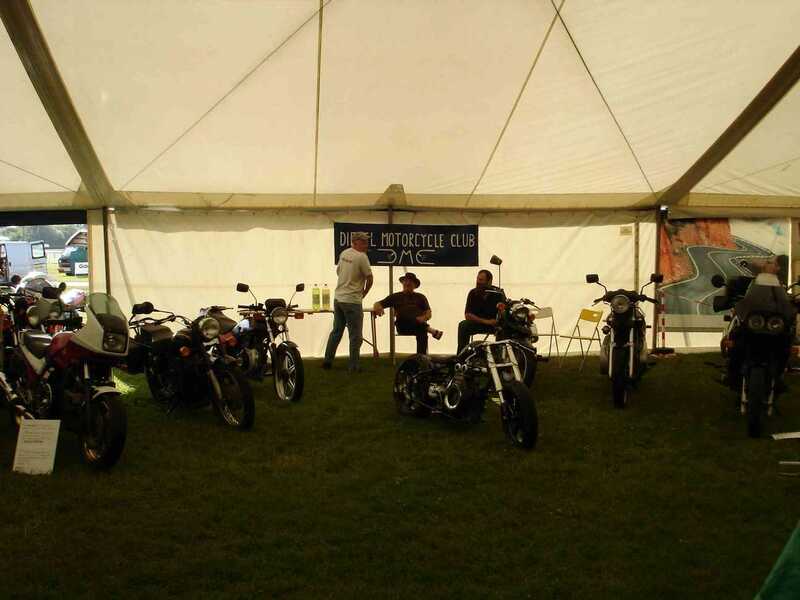 This was the first time a concerted effort had been made to show off the bikes in this way and demonstrate to all who were interested that it is indeed possible to create such viable machines.Thank's to Sam Brumby for organising it all and making it work. 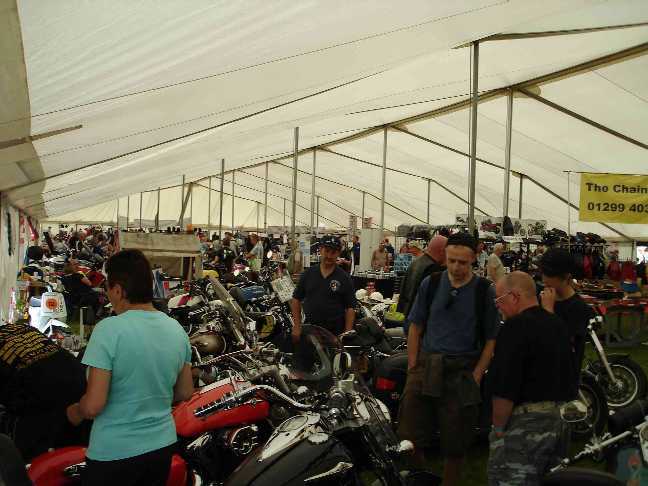 One of the main tents where we displayed our bikes (halfway down on the left). 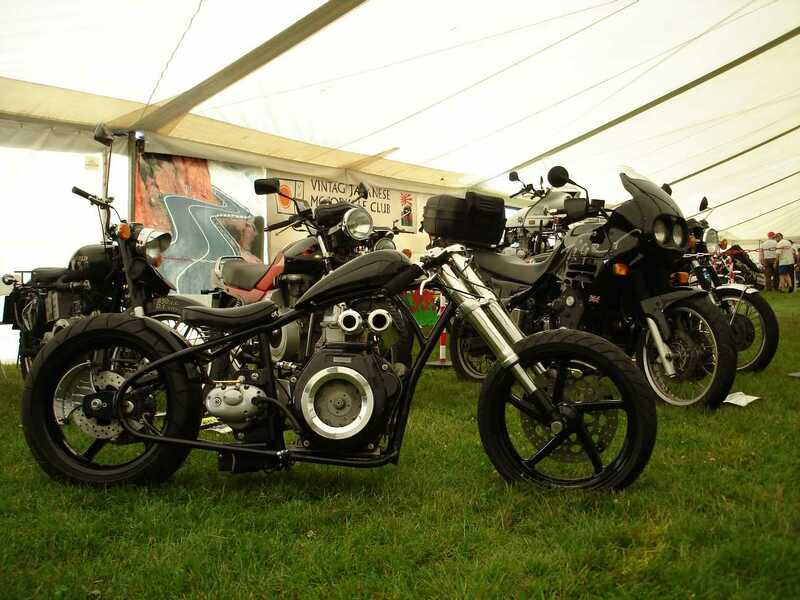 All the bike's just before the doors opened. 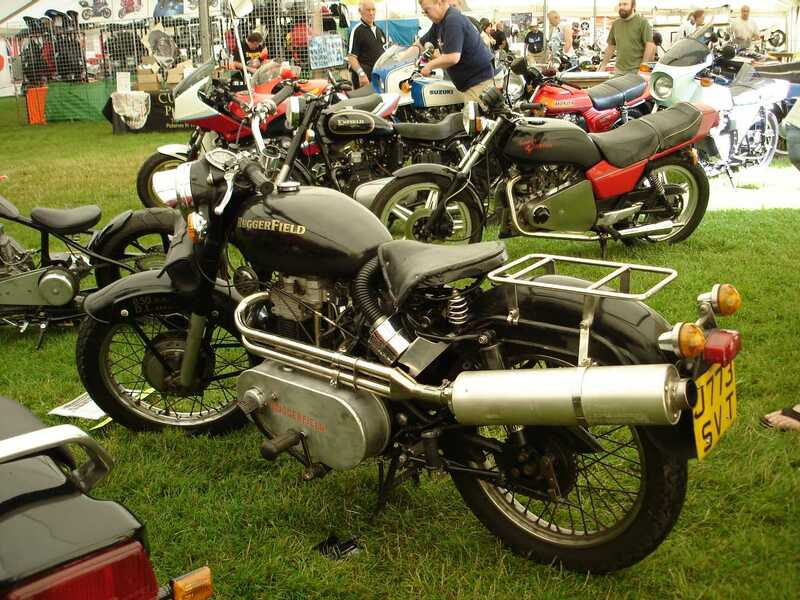 Toms Bike with Dave's Triumph Tiger to the right and the Ruggerfield to the left. 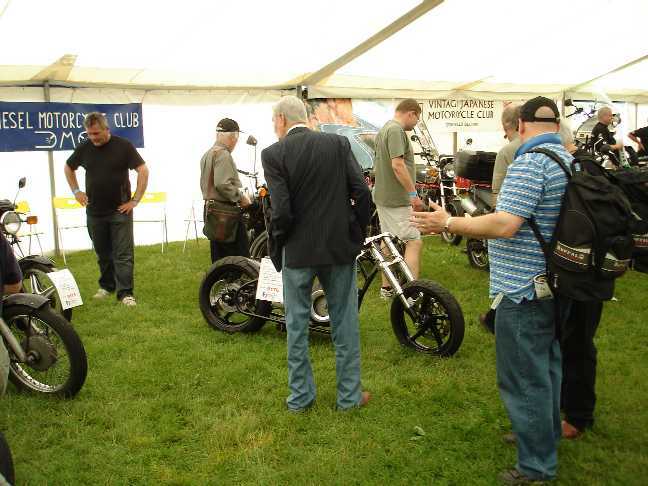 Some of the crowd checking out the bike's. Diesel Dave gets to grips with Tom's bike. My bike, the Ruggerfield with Sam and Steve's bike's directly behind. Wasn't long before we got bored and decided to strip Tom's clutch down. And why not! 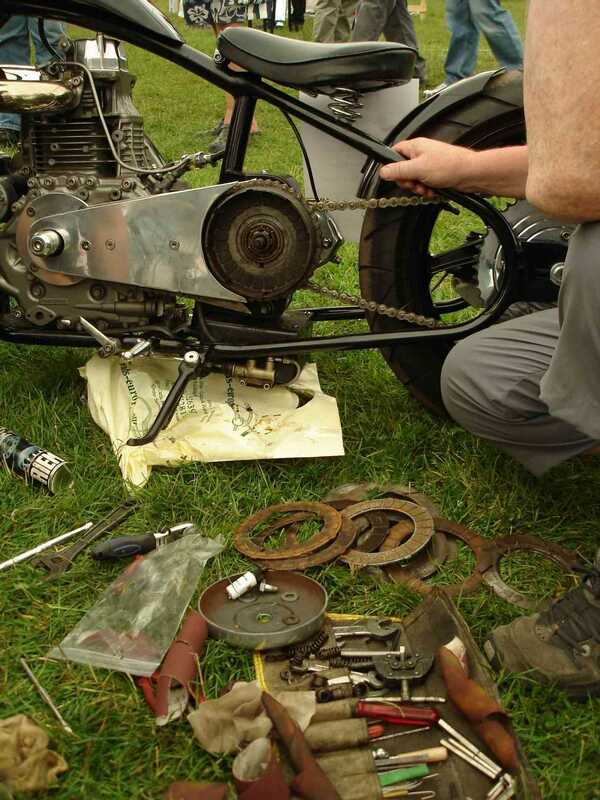 That's my tool kit there - we got the spare parts from stalls about us- the bearing had gone. 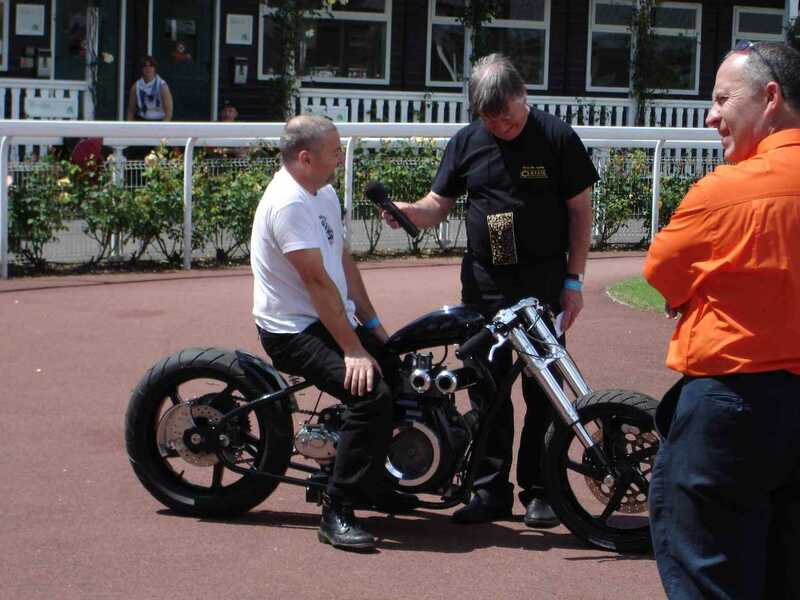 Dave in the arena explaining to all about his Triumph conversion. 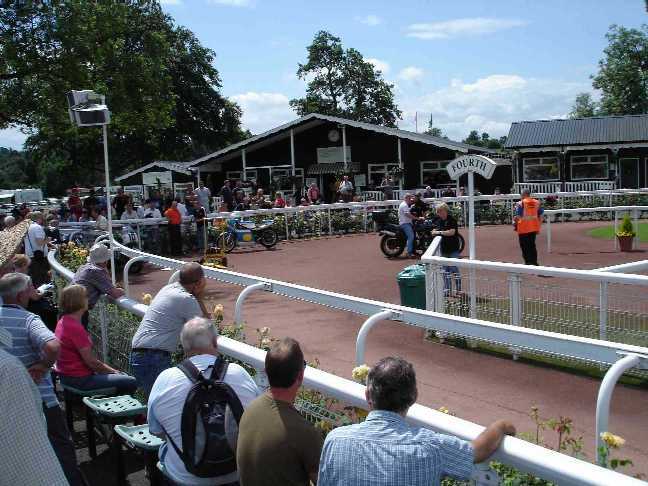 Next Tom's turn in the show ring. The bikes did a lap for everyone to see. 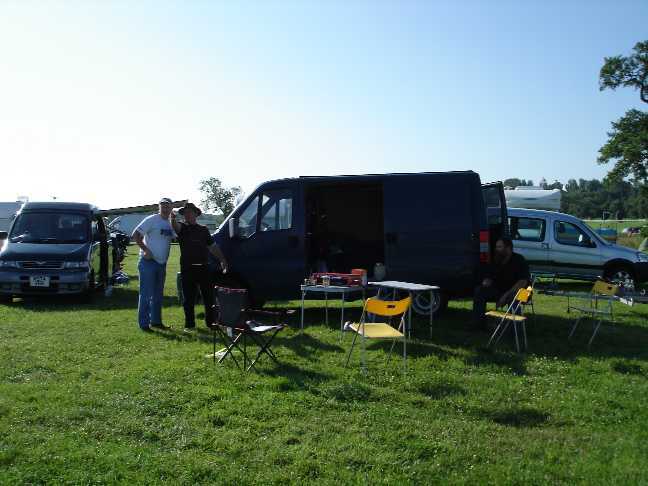 Out in the camping field this was Diesel Central. The fine weather didn't last long. 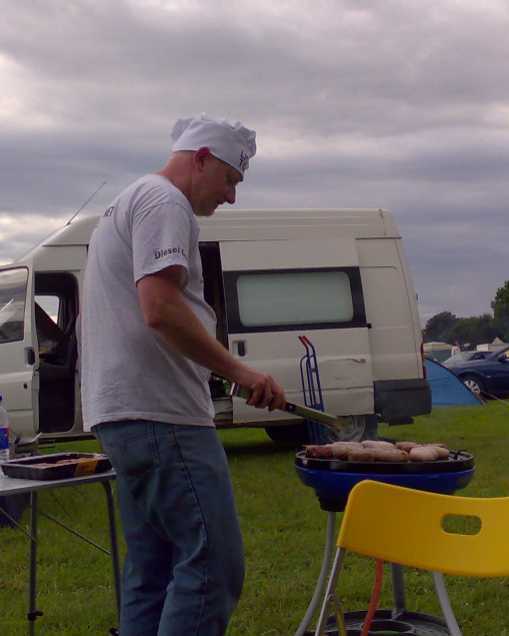 Diesel Dave cooks us all a grand meal! Notice the clouds - it rained around then! 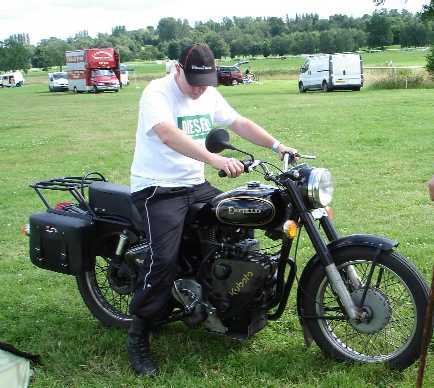 Diesel Dave try's out Steve's Kubota Enfield 500cc twin. 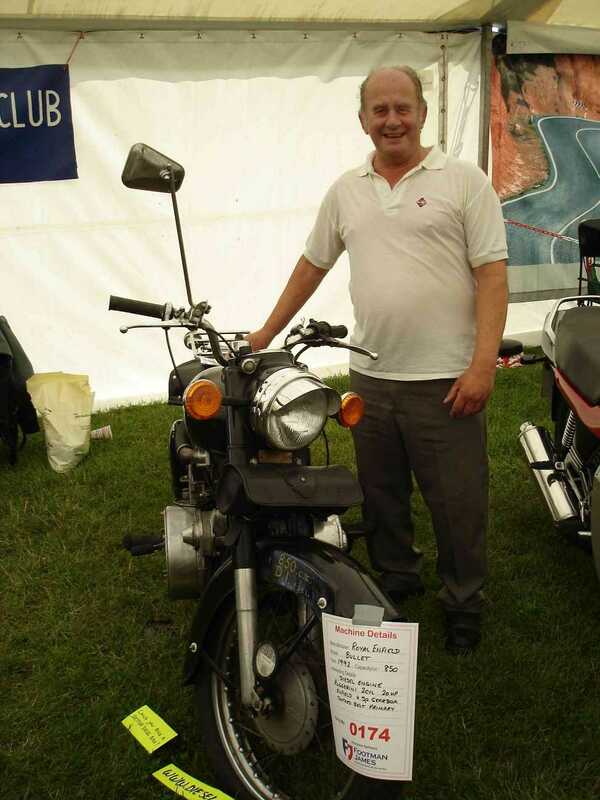 I had the pleasure of meeting Graham, brother of Colin (who built my bike) for the first time at the show. 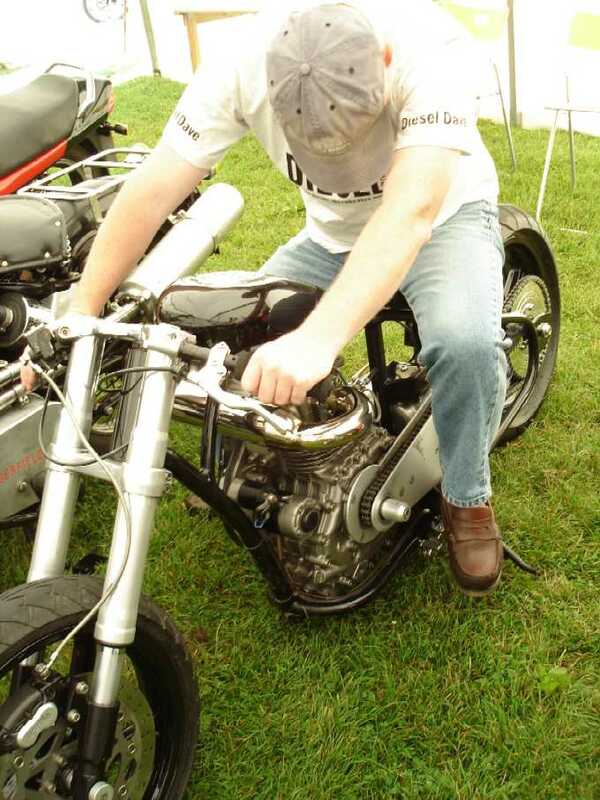 Myself astride Tom's Diesel chopper built by Gaz. Thanks again to Sam for doing the hard part and making it happen and Steve (& Steve's mate), Dave, Tom & Graham for making the effort.